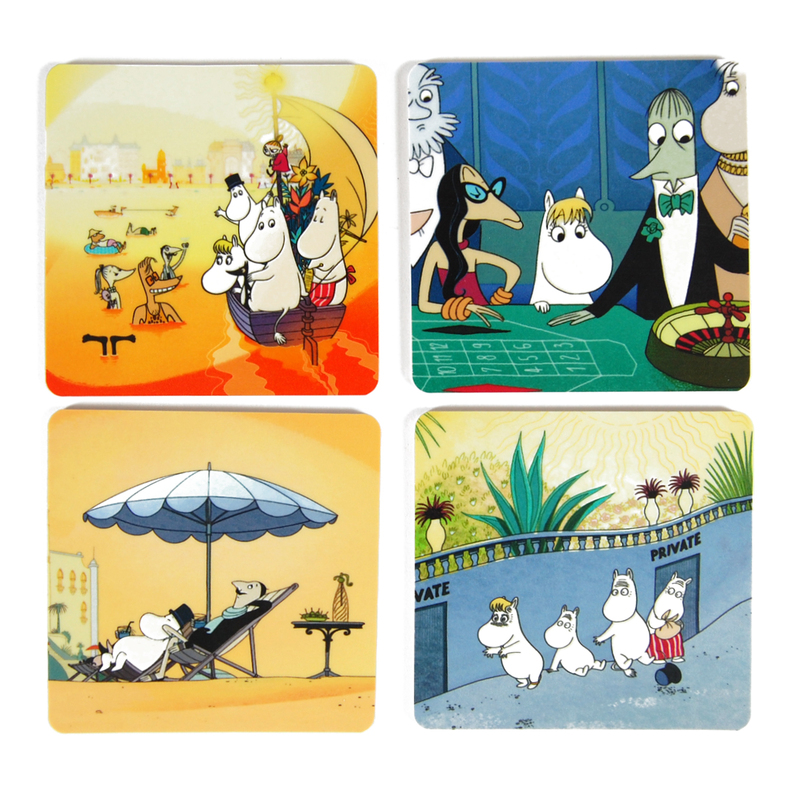 More about Moomins on the Riviera Coaster Set of 4 Take a sip of your drink and have a vicarious vacation when you rest your glass on these amusing coasters. Each of the four coasters gives a snapshot from the movie “Moomins on the Riviera”, complete with the lovable family’s adventures in boating, sunbathing, sneaking about and a casino gamble. 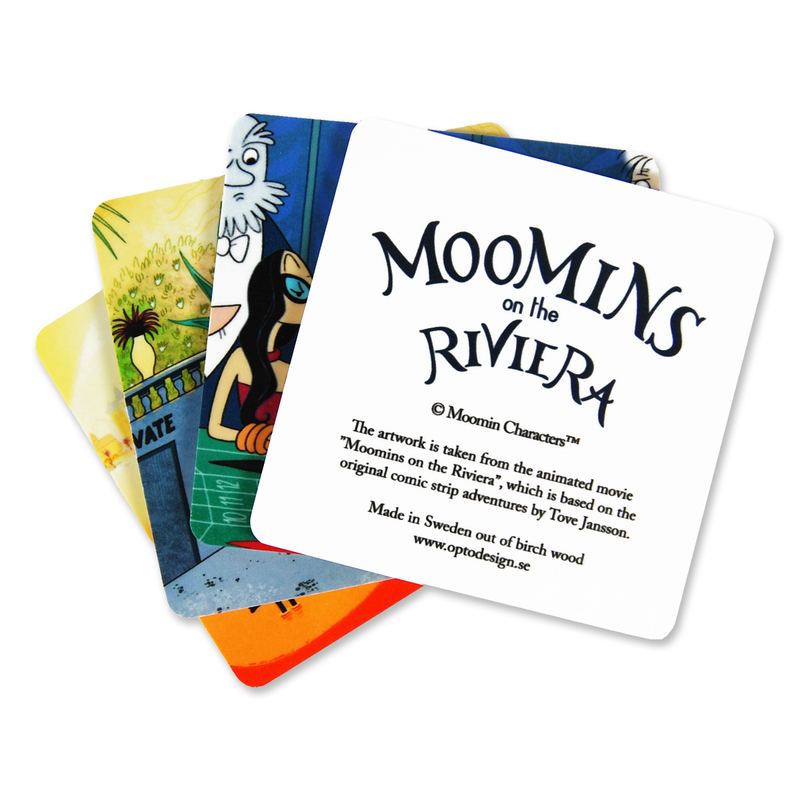 The Moomins on the Riviera Coaster Set of 4 is lightweight and made of thin birch wood for easy storage, but you may want to leave these darlings on your tabletop. Price is for set of four (4) coasters. Artwork from the movie “Moomins on the Riviera” is based on the original comic strip by Tove Jansson.